Raina Telgemeier, the New York Times bestselling author of the Eisner Award winner, Smile (Souris! ), brings us her next full-colour graphic novel... Drama! Callie loves theater. And while she would totally try out for her middle school's production of Moon Over Mississippi, she's a terrible singer. Instead she's the set designer for the stage crew, and this year she's determined to create a set worthy of Broadway on a middle-school budget. But how can she, when she doesn't know much about carpentry, ticket sales are down, and the crew members are having trouble working together? Not to mention the onstage and offstage drama that occurs once the actors are chosen, and when two cute brothers enter the picture, things get even crazier! Following the success of Smile (Souris! 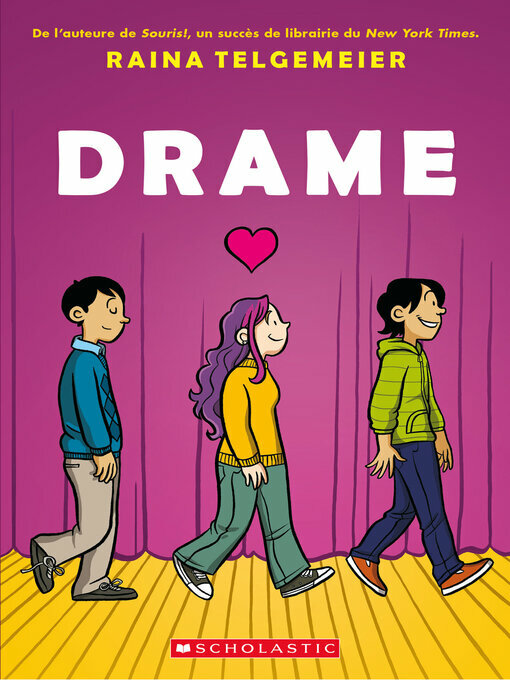 ), Raina Telgemeier brings us another graphic novel featuring a diverse set of characters that humourously explores friendship, crushes, and all-around drama!